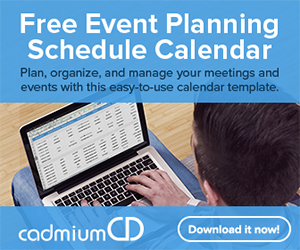 In the 15 years that CadmiumCD has been part of the meetings industry, one of the problems that consistently comes up is managing speakers. We haven’t met many event organizers who haven’t experienced the following phenomenon: You reach out, ask your speakers for their photo, bio, disclosure forms, and presentation slides. Then all you get is silence. Then the day before your event you have a bunch of emails in your inbox with all their content. Here’s the thing. Your speakers are NOT at fault. It’s common to blame speakers, saying they’re a pain to deal with or that they’re divas. Sometimes it’s true, but mostly it’s just hot air. Dear Event Planner, I Hate You. Sincerely, Your Speaker. The fact of the matter is that your speakers are just as busy as you. Your event may be low on their totem poll of priorities. Speakers are busy industry experts, they’re sometimes unpaid, and they care about getting relevant content to your attendees. 1) Your speakers are often industry experts. This means they’re busy speaking at other events, writing big books about the past, present, and future of the industry, and probably get as many emails as you every single day. In short, they’re tightly constrained on time and availability and you’re just being a pest. They’re probably thinking, “Who needs what? What have I already submitted?” It’s tough work. And let’s be fair. They probably received a huge email with a long list of things for them to do. At this point that email is long gone… out of sight, out of mind. 2) You’re not paying your speakers. Speakers come in many shapes and sizes. Some ask for a big paycheck and a long list of must-haves. Others are happy to simply share what they’ve learned with their peers… for FREE. These uncompensated volunteer speakers are doing you a big favor. They’re saving you money and they’re building the content that will make your event a success with attendees. Of course this comes with a caveat: you don’t really have the right to micromanage them or enforce strict deadlines. Paid or unpaid, speakers’ priorities tend to trickle up to the top of their piles. Putting their presentation together always comes before sending you their headshot. Plain and simple. 3) Presentations often include “late-breaking” information. This is especially true at scientific and medical conferences. Speakers want to share what’s latest and greatest. Sometimes a piece of information is announced the day of, or enters the final stages of research. Your speakers could care less about getting you their rough draft. What’s important to them is getting the newest case study to your attendees. And you should appreciate this. It means they care about your members and the industry you represent! Still, it can be frustrating if they never submit that newest research as part of their materials, especially if you want to distribute it to attendees who couldn’t make it to the conference. We get A LOT of event planners who are frustrated with their speakers. They just can’t seem to wrangle this unmanagable bunch. “It’s like herding cats,” is a common sentiment. The biggest problem though is that we as meeting planners are trying to work AGAINST our speakers. We’re not trying to give them a simplified workflow. See, it helps if we give our speakers tools to make the process painless. It helps if we provide incentives for them to submit the materials we need to make our conferences a success. Over the past few years, speaker management software has transformed the way tech-saavy event managers collect biographies, presentations, and disclosure forms from their speakers. These crafty planners ditched traditional email and spreadsheets, and now keep their speakers on task and on time by transforming the way they communicate with them. Sometimes we, as event managers, are the ones making the mistakes. Consider the following story. 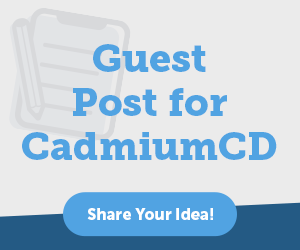 One of our early clients at CadmiumCD was hosting a medical conference in Hawaii. They decided to get away from those big, bulky binders that once defined the conference experience. The solution for them was to go completely digital and mail out CDs of the presented research to all their attendees. Now, one doctor received the CD in the mail and excitedly popped it into her computer. She went searching for her presentation, but to her horror it wasn’t anywhere to be found. This could be a stain on her reputation. She wasn’t reliable and didn’t submit her paper on time to be included. They would throw her research to the wind! Though this may be a bit exaggerated, the dilemma was very real to her. She was mortified. This type of thing is less problematic today because most conference content is distributed online. A click of a button and an upload would solve this. But the problem still exists: when you’re managing speaker submissions through email, it’s easy to miss information. This story is actually the event which drove us to build a solution. The foundation of all our software rests on this one instance. We quickly got to work and built the seeds of what would become our complete event management platform and what we today call speaker management software. Email and spreadsheets. Gmail and Google Sheets. Outlook and Excel. We’ve all used some sort of similar combination. These are GREAT tools, but they certainly don’t make our lives any easier. In fact, they’re usually a downright hassle. Email IS NOT a management tool. It’s not a good way to track submissions. It’s not even a good way to communicate with speakers when you need information from them. Spreadsheets ARE NOT dynamic. It’s difficult to make quick, meaningful changes. You can’t plug your email into them and see instant updates. They just don’t work like that. The great thing about technology is that it grows over time. These disjointed pieces can converge and become something REALLY useful. We realized that the email/spreadsheet combination was a recipe for disaster (or at least disorganization) long ago. It was clear that the difficulty with these systems is that they’re nearly impossible to track submissions with. Something really exciting is happening right now in the meetings industry. Technology is catching up with the times and solving problems every single day. For the answers to these questions, download 5 Big Problems With Speaker Management (And How the Right Technology Can Help Event Managers Overcome the Frustration). Managing speakers doesn’t need to be so unruly. Event management software, and speaker management software in particular, is a new way forward. It’s a way to help speakers and meeting planners become TRUE collaborators. It’s a way to bridge the divide and fill the gaps. 4 Responses to " Speaker Management 101: Building Better Relationships with Speakers "